Balkman was given a new lease on life when his lifetime ban was lifted by PBA commissioner Willie Marcial. After helping San Miguel Alab Pilipinas cop the Asean Basketball League (ABL) championship, most are now curious on whether Barangay Ginebra will be doing the same. Currently parading Charles Garcia as their import, there is growing belief that the Gin Kings will at some point call in Brownlee to suit up. The only question now is when. Only Barangay Ginebra head coach Tim Cone can answer that. Cone has repeatedly mentioned sticking with Garcia due to lack of ceiling. Greg Slaughter has returned from his injury although he is not yet 100-percent healthy. Could the Gin Kings be assessing “Gregzilla” before deciding on the right import to lead the way? Garcia is no lemon and has been producing credible numbers. But the Gin Kings need to get someone who can do more than just score and rebound. They need someone familiar with their culture and a player who can light it up and spark the team. Without question, Brownlee has proven he can do that on several occasions. The only problem is that he lacks the size – something that Cone has been emphasizing since most teams are fielding bigger and talented reinforcement in the ongoing PBA Commissioner’s Cup. Should Slaughter get back to top shape, the decision to bring in Brownlee could be next. However, another obstacle remains – the health of the 6-foot-7 American cager. The 30-year-old suffered a leg injury in game 2 of the ABL Finals, another factor that Ginebra may be evaluating. A logical explanation to address it is that Ginebra is giving Brownlee ample time to heal up and rehab himself back to 100-percent. The Gin Kings are currently toting a 1-2 win-loss record and could use a boost. With the tournament format, each win is critical for teams to make it to the next round. So far, Garcia has been filling in nicely. But seeing him last the entire conference seems a bit murky. Ginebra faces the Phoenix Fuel Masters on May 20, Sunday, at the Smart-Araneta Coliseum. 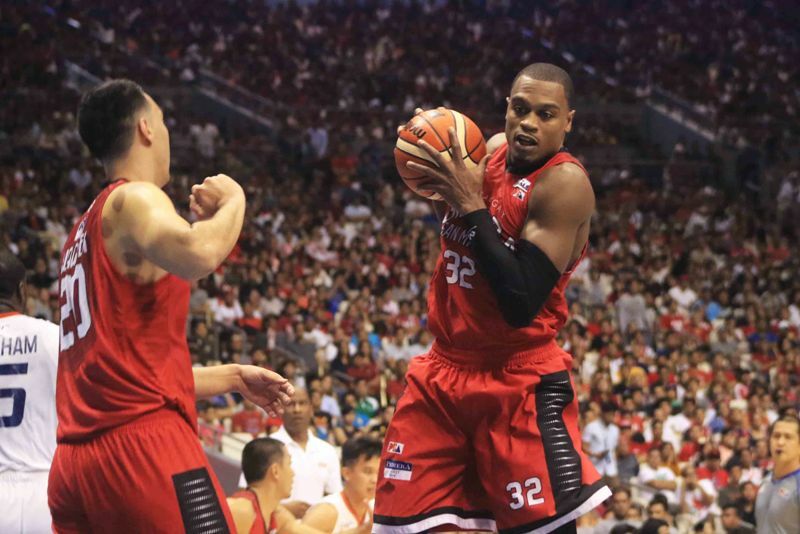 Against James White, Ginebra cannot afford to let its guard down – especially Garcia. Another loss could be crucial, possibly forcing the hand of the Gin Kings to seriously consider an import change if they want to keep their heads afloat in the 2018 PBA Commissioner’s Cup. Posted in PBA•Tagged Asean Basketball League, Barangay Ginebra, Brownlee, Charles Garcia, Greg Slaughter, PBA, PBA Commissioner’s Cup, Renaldo Balkman, San Miguel Alab Pilipinas, San Miguel Beermen, Tim Cone, Troy Gillenwater, Willie Marcial•Leave a Comment on Is it time for Ginebra to bring back Brownlee?